Every year hundreds of thousands of comic book fans come out in droves to attend Comic Con. Almost everyone at this convention has heard of Warner Bros, but that doesn’t stop them from utilizing the opportunity to create more brand awareness and maintain their well-known brand identity. The company signed on as a sponsor of the 2010 Comic Con and has chosen to provide custom tote bags to each attendee. 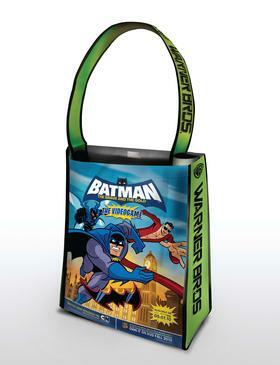 One side of the bag displays an illustration of the Comic Con logo and the other a picture of a major Warner Brothers productions such as The Looney Tunes Show, Batman: The Brave and the Bold (the videogame), Scooby-Doo! Mystery Incorporated, The Big Bang Theory and more. This is one of their main target audience, fans who love their comics, television series and comics turned movies. Plus, it’s an opportunity to introduce their productions to people who not might not have heard of some of their shows. The promotional tote bags have already garnered a lot of attention for Warner Bros and are being touted as the ultimate Comic Con accessory. It should be no surprised that Warner Bros. will continue to reap the benefits long after the convention. Promotional tote bags are a common convention and trade show giveaway, but adding a custom look Warner Bros. made theirs tote bags a collectible. I know I want one. Of course it’s easier to promote your brand when you already have a reputation. But if you’re a smaller company and you’re stilling looking to increase brand awareness and sales, you can take a page from Warner Bros. Your marketing efforts don’t have to be elaborate or even on a major scale. You just need to give your target audience something they’ll never forget or even better something useful. You can sponsor your local sports team, participate in a trade show or donate to a local charity that’s related to the products or services you sell. Plus, your giveaway doesn’t have to be a tote bag, it can be a travel mug, jump drives or beach bags. Marketing is all about opportunities. Let us help you find your next one. Need promotional products, call 954-523-1957 today.